Join us for our next seminar with Natalie Etoke. Object to Subject: Afro Diasporic French Identities. 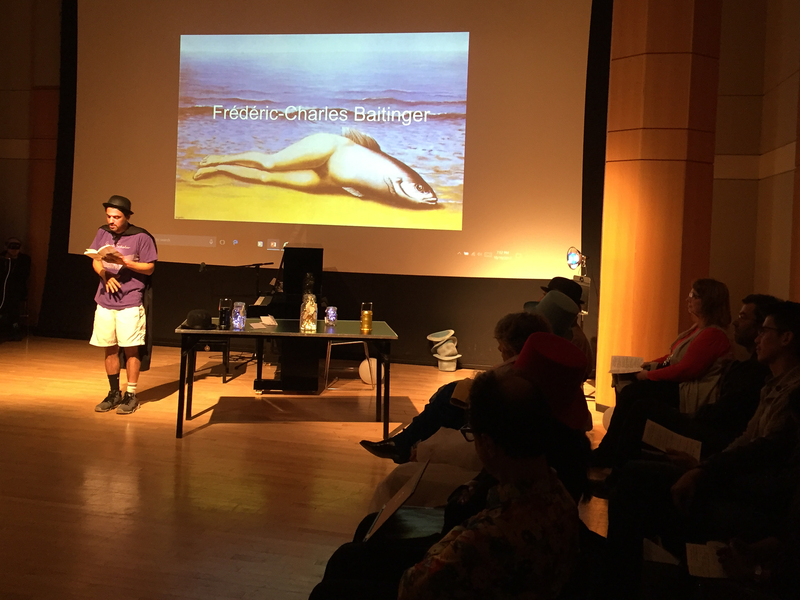 What happens when we incorporate the non-human material world into academic conversations? As part of the Object Library’s ongoing inquiry into routes to knowledge beyond traditional methods and existing discourses, this series of seminars co-presented with Henri Peyre French Institute invites the public to join us in study once again, taking material culture as our point of departure. 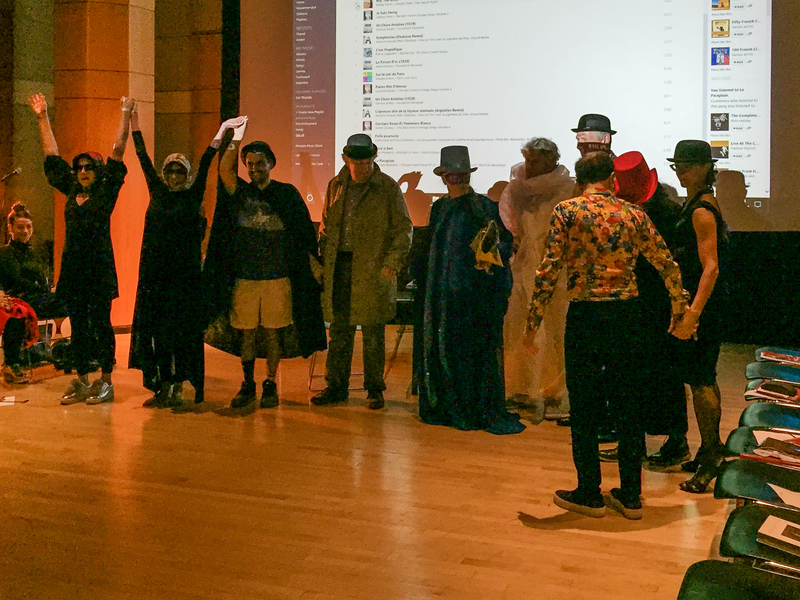 With topics ranging across new areas of research, each presenter is encouraged to bring-a-thing-along or propose an object that might sit in creative tension with the seminar discussion. All are welcome, but a commitment to attend is necessary, as is reading in advance any materials supplied. Mary Ann Caws, Mohit Chandna, Nathalie Etoke, Paul Fadoul, Emmanuel Bruno Jean-François, Jarrod Hayes, Sylvie Kandé, Cilas Kemedjio, Francesca Canadé Sautman, Barbara Webb, Christopher Winks and Pedro Zylbersztajn. 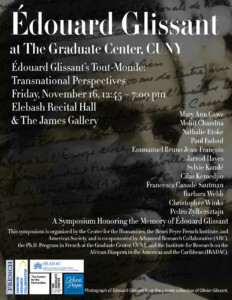 We will end the day-long symposium "Édouard Glissant's Tout-Monde: Transnational Perspectives" in The James Gallery with a reading by Mary Ann Caws in both French and English from her own translation of Édouard Glissant's epic poem Le Sel Noir, followed by a reception. 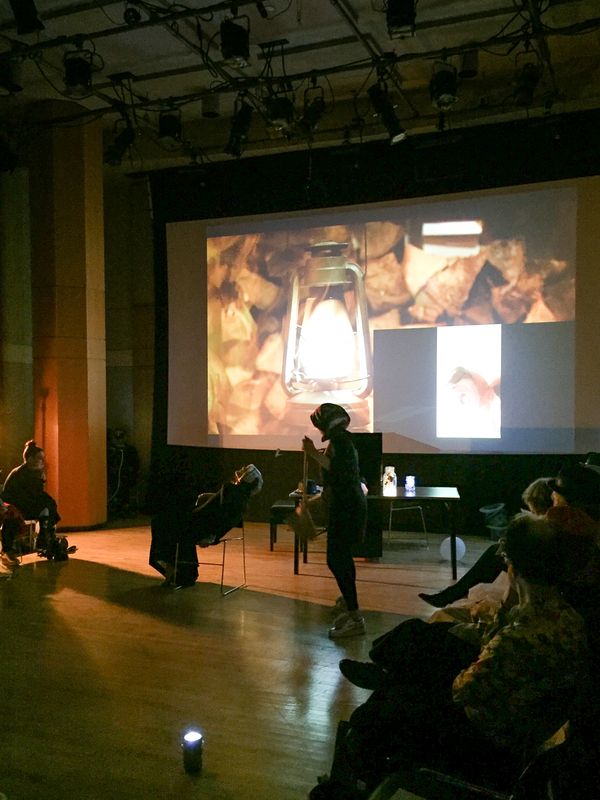 This symposium coincides with the exhibition Lydia Cabrera and Édouard Glissant: Trembling Thinking at the Americas Society. 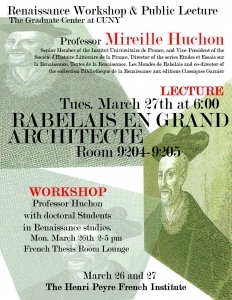 Renaissance Workshop & Public Lecture by Mireille Huchon March 26 and 27! "Fabrications of Reality - Fabriques du réel". 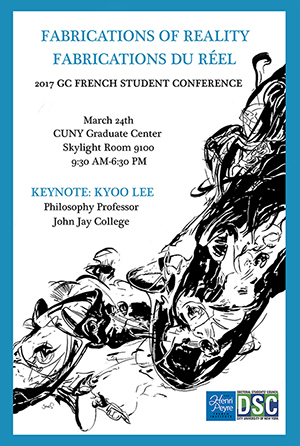 CUNY Graduate Center's French department is excited to announce its upcoming graduate student conference: "Fabrications of Reality - Fabriques du réel". The conference will take place on March 24th, 2017. The French PhD Program at the CUNY Graduate Center invites papers from all disciplines that examine early modern, modern, and postmodern fabrications of reality in French-language texts from a wide variety of perspectives: literature, theory, philosophy, gender, art history, film and media studies, sociology, economics, neuroscience, medicine, psychology, and psychoanalysis. Storytelling and fiction aren’t solely found in literature. Prevalent ideologies also tell us stories that determine and shift our perception of reality. At the same time, reality seems to have become more and more unreadable; supposedly objective sources of knowledge (such as pre-election polls) have become unreliable. There is, of course, no objective reality, only fabrications. More interesting is how our realities are fabricated, both in life and in literature. Authors have approached the fabrication of the text, or text as fabric, in a multitude of ways. Writers and scholars from François Rabelais to Michel Foucault have written extensively on ways of revealing and subverting the fabricated realities of dominant structures of power, through vastly different methodologies. Roland Barthes unraveled the idea of literature as a fixed and singular object, turning it into a landscape that could be entered and explored with his Mythologies and his extensive research on the text. 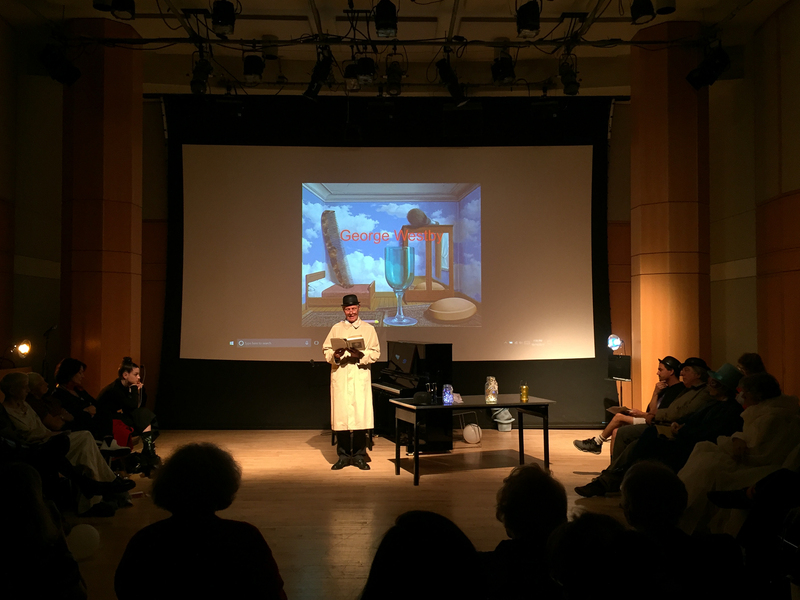 At the same moment as the field of linguistics was opening up literary critique, and transforming varied forms of social discourse into “text,” concepts of reality began to incorporate and absorb notions from literature. Thus, Daniel Chartier writes that every location is just as shaped by the experiential and phenomenological qualities of its inhabitants as by its physical characteristics, a unified strata of discourses (l’idée du lieu). Similarly, maps as texts confront us with this impossibility of knowing, of reading the world objectively or accurately, limited as they are by their creators’ knowledge, desires, and political alignments. Fictitious borders are invented, shaped by power, traced onto maps, and then applied to the world. 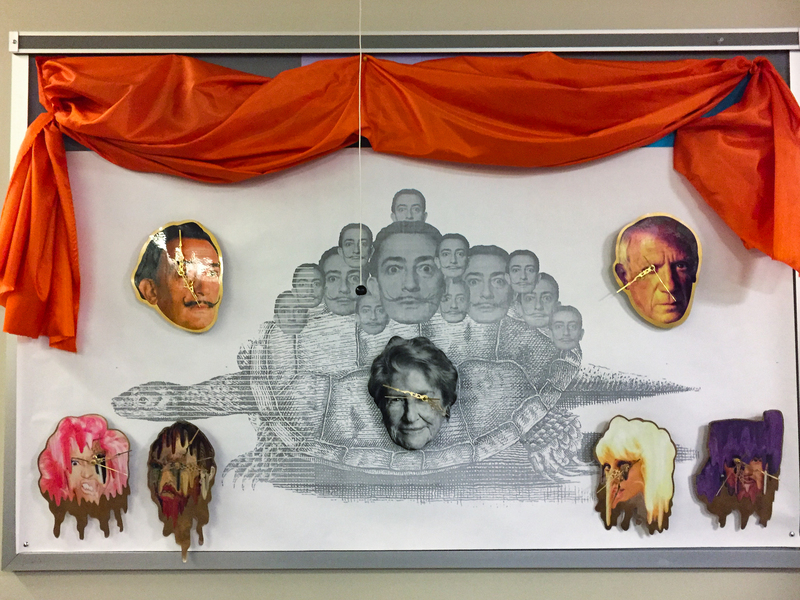 For José Muñoz, “queer world-making, then, hinges on the possibility to map a world where one is allowed to cast pictures of utopia and to include such pictures in any map of the social” (Cruising Utopia). Muñoz argues that queerness is never yet arrived, but continually constructed as the “not yet.” In this sense, fabrication is the continual creation of utopian potential. How can literature develop these potentialities, whether by reflecting, distorting, or shaping (and being shaped) by our realities? 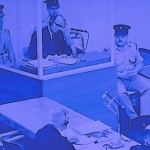 Based on the archives of the state of Israel and those of filmmaker Leo Hurwitz, Sylvie Lindeperg (French historian, Université Paris 1 Panthéon-Sorbonne) examines both the unprecedented decision to videotape the Eichmann trial in its entirety and the subsequent negotiations between broadcasting executive Milton Fruchtman, the Israeli government, and the judges in charge of the case. 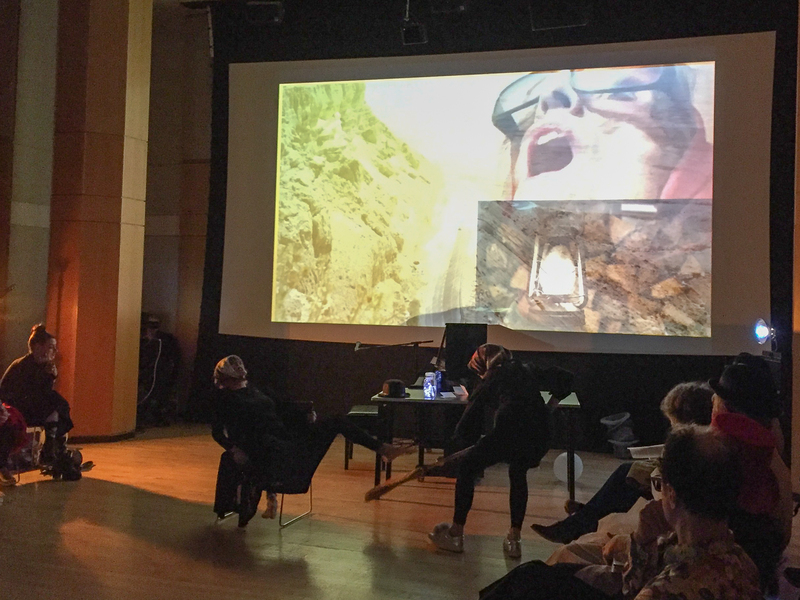 While her analysis of the recorded documents reveals the scenario’s principal tropes, her study of Hurwitz’s preparation for the trial underscores the disparity between the intentions and expectations of the filmmaker and the material reality of the event. In pursuing these lines of investigation, her talk explores the interaction between judicial ritual and TV drama as well as the unavoidable influence of the recording itself. Sylvie Lindeperg is a historian whose research explores the relationship between cinema, history, and memory. 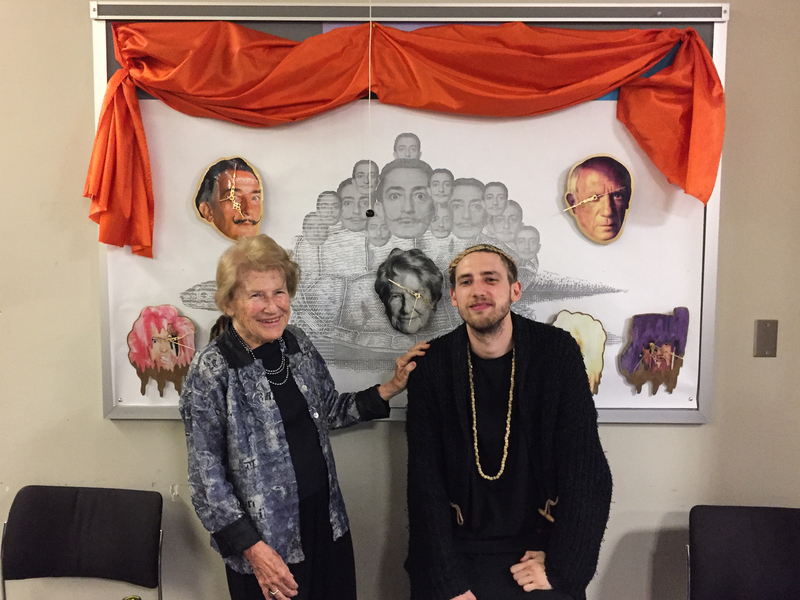 A member of the Institut Universitaire de France, her books include Les Écrans de l’ombre (1997/2014), La Voie des Images (2013), and Night and Fog: a Film in History, which appeared in English in 2014. 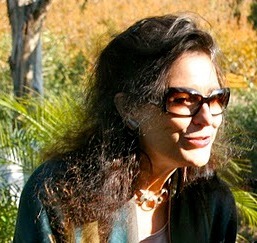 She is coauthor of the documentaries Face aux Fantômes (Jean-Louis Comolli, 2008) and Après la Nuit: Traces Filmées de la Résistance (Ginette Lavigne, 2014) and runs the Center for Research in Film History and Aesthetics at Paris 1. 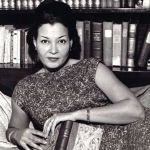 Join us for a celebration of the 100th birthday of Haitian playwright and novelist Marie Chauvet. 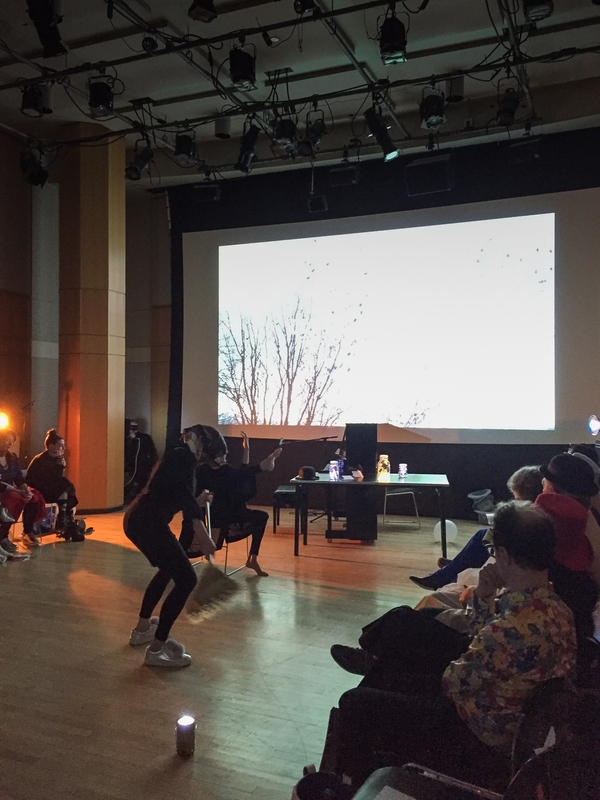 Panel 1: STAGING REVOLUTION: CHAUVET'S DANCE ON THE VOLCANO Reading of excerpt in English from La Danse sur le volcan (Dance on the Volcano) by Gina Athena Ulysse. Panel Discussion with Jeremy Glick (Hunter College, CUNY) and Stéphanie Bérard (Institut d'Etudes Théâtrales), moderated by Kaiama L. Glover. Panel 2: CONFLICT(ED) BODIES: CHAUVET'S REVOLTING AESTHETICS Reading of excerpts in English from Chauvet's Colère by Gina Athena Ulysse. Panel Discussion with Christian Flaugh (University of Buffalo, SUNY) and Régine Michelle Jean-Charles (Boston College), moderated by Alessandra Benedicty-Kokken. Performance of excerpts in English from La Légende des fleurs (The Legend of the Flowers, translated by Alessandra Benedicty-Kokken); Jose Pliya's theatrical adaptation of Amour (Love, translated by Lena Taub Robles); and Les Rapaces (Birds of Prey, translated by Carolyn Shread), directed by Alice Reagan. 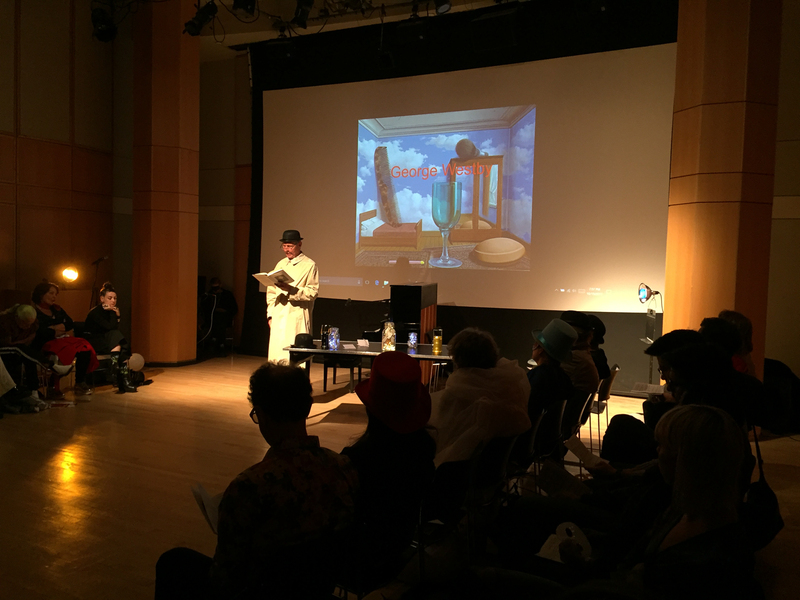 Read by Kate Abbruzzese, Grant Chapman, Cloteal L. Horne, Alvin Keith, and Zainab Musa. Followed by panel discussion with Gina Athena Ulysse, Alice Reagan, Judith Miller, and Frank Hentschker. 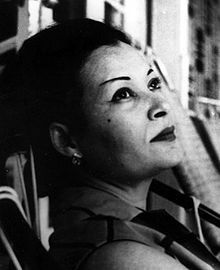 Marie Chauvet was forced to flee Haiti after publishing works critical of the race and class structures undergirding Haitian society and politics during the totalitarian regime of François "Papa Doc" Duvalier. Her most well-known work, the trilogy Love, Anger, and Madness, was first published in Paris in 1968 with the support of Simone de Beauvoir, bringing her much acclaim and putting her life in great danger. 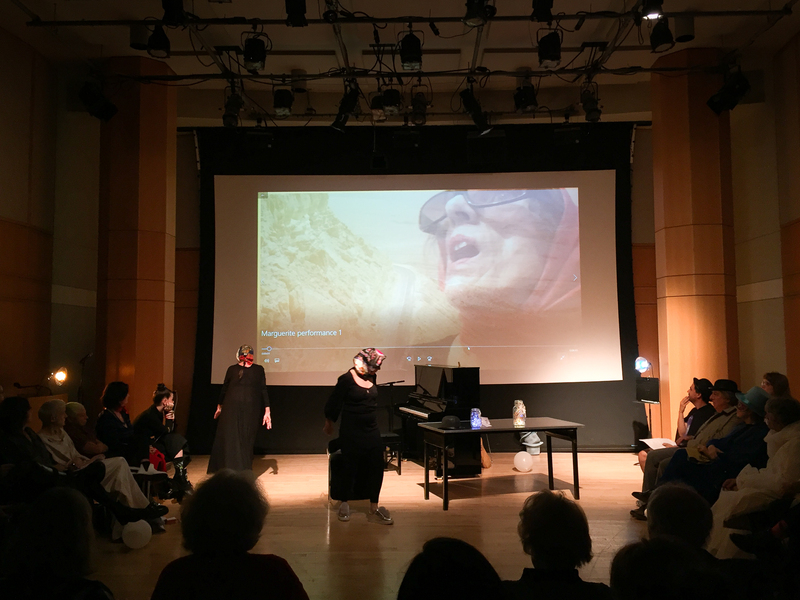 Exiled from Haiti, leaving her affluent family behind, Chauvet spent the final years of her life in New York City, where she worked as a maid and died in relative poverty in 1973. It is only in the last two decades that Chauvet's work has been given critical attention, enjoying re-editions in French and translations in English and Spanish. Though best known as a novelist, Chauvet was also a playwright, and much of her prose fiction is written as dramatic dialogue. Organized by Professors Alessandra Benedicty-Kokken (City College of New York, CUNY) and Kaiama L. Glover (Barnard College, Columbia University) in collaboration with Frank Hentschker (The Segal Center), the program will bring together scholars, experts, and theatre artists to introduce Chauvet's work for the stage. Synopsis: On 28 July, 1958, coming from Florida a group of former Haitian military officers landed in Délugé, in the north of Haiti's capital. In no time they conquer the "Dessaline barracks" located behind the National Palace. Their plan: overthrowing President, Dr. François Duvalier elected a year ago. The... group includes former Capitain Alix "Sonson" Pasquet, and former Lieutenants Henri "Riquet" Perpignan and Phillipe "Fito" Dominique accompanied by five American soldiers of fortune. A fierce battle between Duvalier and his attackers is waged, which in the end is won by Duvalier. The night of 28th to 29th of June 1958 will significantly shape Haiti's political history as 29 years of brutal and repressive Duvalier dictatorship follow.The movie tries to reconstruct the so-called "Sheriff Invasion" with archival footage, interviews and specially made, great illustrations and animations and thereby, illuminates a so-far little known but central event in the recent history of Haiti. 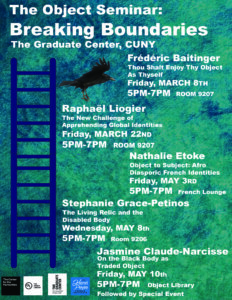 This event is part of the Colloquium Impunity, Responsibility and Citizenship – HAITI and of a series of events on Haiti presented through March, April and May at Medgar Evers College in collaboration with the Caribbean Research Center, the Caribbean Cultural Theater and the Center for Black Literature.THIS EVENT IS FREE AND OPEN TO THE PUBLIC to the limit of the facilities capacity. Christopher Clarke is a doctoral candidate in French. His translations include work by Éric Chevillard (Masters Thesis), Raymond Queneau (New Directions), Olivier Salon (Words Without Borders), and Patrick Modiano with NYRB Classics, the occasion of this celebration. He is currently translating a novel by Pierre Mac Orlan, Mademoiselle Bambù. He is an Associated Member of the ANR DifdePo, and through the ALGORITM seminar, is involved in the transcription and digitization of the OuLiPo archives. 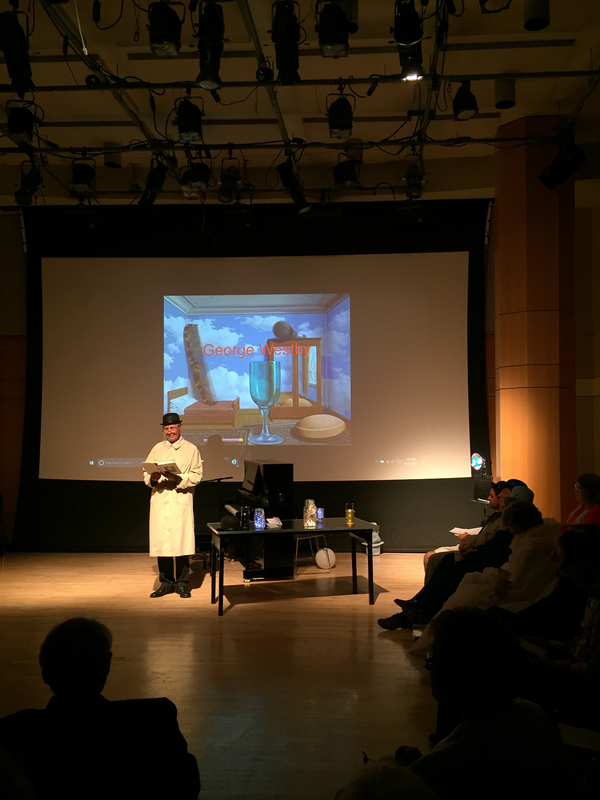 Chris teaches at Brooklyn College. Donald Nicholson-Smith was born in Manchester, England and is a longtime resident of New York City. He came across Clébert's Paris insolite as a teenager and has long wished to bring it to an Anglophone audience. Among his many translations are works by Paco Ignacio Taibo II, Henri Lefebvre, Raoul Vaneigem, Antonin Artaud, Jean Laplanche, Guillaume Apollinaire, Guy Debord, Jean-Patrick Manchette, Thierry Jonquet, and (with Alyson Waters) Yasmina Khadra. For NYRB Classics he has translated Manchette's Fatale and The Mad and the Bad, which won the 28th Annual Translation Prize of the French-American Foundation and the Florence Gould Foundation for fiction. Peter Consenstein is Professor of French at Borough of Manhattan Community College and The Graduate Center. A scholar of the group OULIPO and of contemporary experimental French poetry with a particular interest in Jacques Roubaud, he is also an active translator. His publications include a translation of Dominique Fourcade, IL, IT, (La Presse, 2009), a work on Literary Memory, Consciousness, and the Group Oulipo (Amsterdam: Rodopi, 2002), and a Casebook on Jacques Roubaud’s The Great Fire of London which he edited for Dalkey Archive Press, 2002. Mobility and Replication: A Medieval Technology for the Management of Urban Identity. A particular category of signs of identity, seals, circulated in urban spaces as a form of public platform. Serving their owners both as self-extension and as means of engagement with their environment, seals relayed urban identity as it flowed in a concourse of multiple devices, even as seal users themselves circulated and inflected identity beyond its network of media. This talk will consider the ways in which mobility, in predicating particular modes of signification, afforded medieval cities and citizens a mechanism for the ongoing construction, performance, and communication of their plural personality, while the replicated nature of seal impressions, by forming a continuing series of repeated statements, created a trans-temporal template that may well have fostered identity as mobilization. 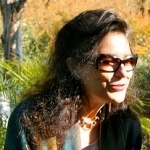 Friday, March 4th, 2016 4:30-7:00 p.m.
poet and artist, Michèle Voltaire Marcelin. but will primarily be in French.